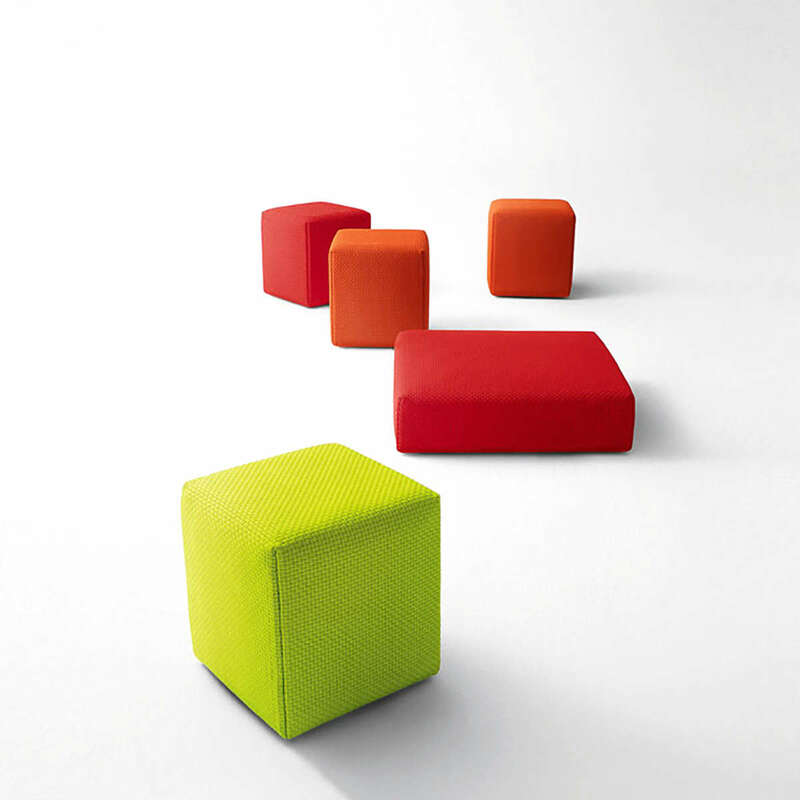 Series composed of square poufs in different dimensions. Structure: water repellent, stress resistant expanded polyurethane. Multilayer wood support and plastic base only for the highest version. 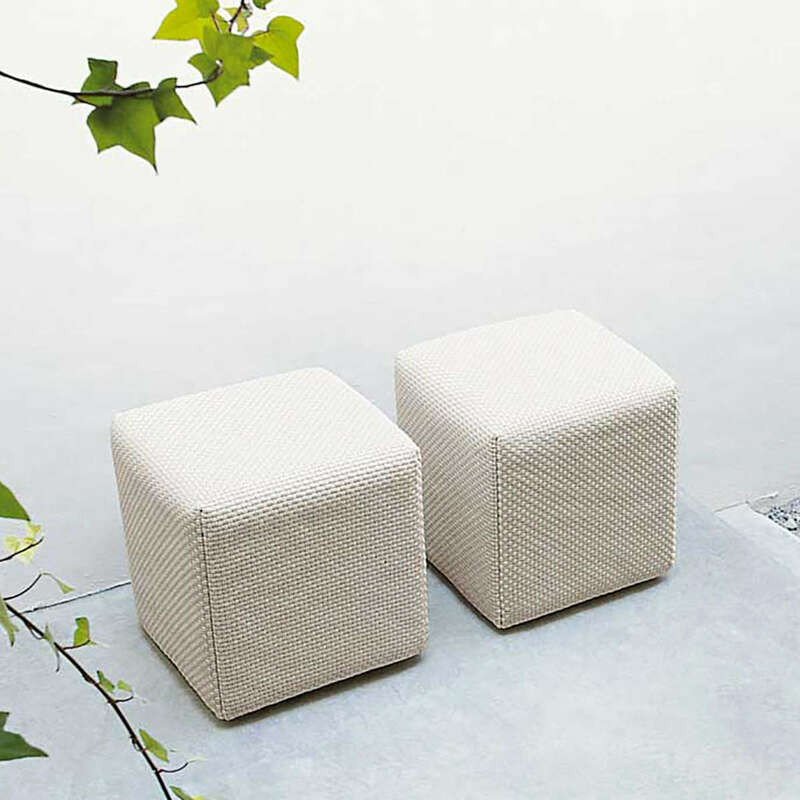 Upholstery: fixed cover in Rope fabric.